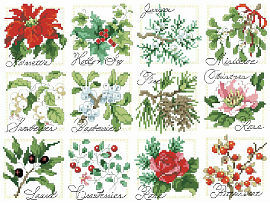 The Twelve Days of Christmas Botanicals are a green way to acknowledge the twelve days of Christmas this holiday season. Each beautiful bloom or berry represents a different cold-weather flowering plant. 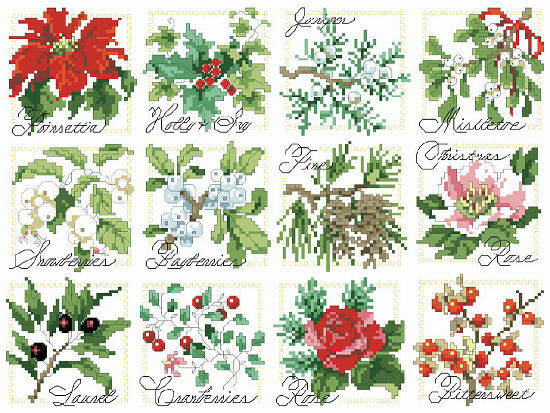 From Bittersweet to the perennial favorite Poinsettia, you will find the designs are perfect for ornaments, cards, or very special gift tags. May your holiday’s blossom and burst with color.